On Monday, November 12th, we were introduced to a world without Stan Lee. I won’t lie – I’ve been having a rough time since then. See, Stan has been such a huge, important part of my life for nearly the entire length of my life. He’s my hero. When I was a toddler, my Dad would read me his old Thor, Silver Surfer, and Daredevil comics before I went to sleep for the night. As a preschooler, he’d read me the ‘darker’ Marvel tales that Stan scripted (nearly always accompanied by the great art of Jack ‘The King’ Kirby). When I was a gradeschooler, I began to collect my own comics – all which started with that classic ‘Stan Lee Presents’. I’d watch the amazing X-Men, Spider-Man, Fantastic Four, and Iron Man cartoons that Stan would appear in or introduce. 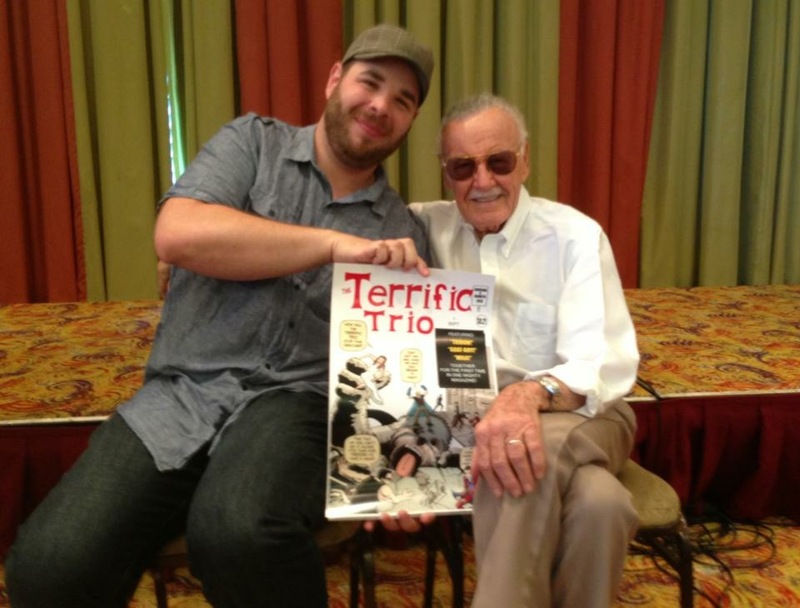 The trend continued throughout my life – to my adolescence and then to becoming a teenager and into adulthood – right up to watching superheroes on the big screen, Stan always playing his cameo. I believe what Stan stood for. He hated bigotry and racism. He loved his fans and would always give them time… and he loved family even more. He never took anything for granted and he was always humble. He worked hard until the final days of his life. I had the absolute pleasure and honour of meeting Stan on three separate occasions. 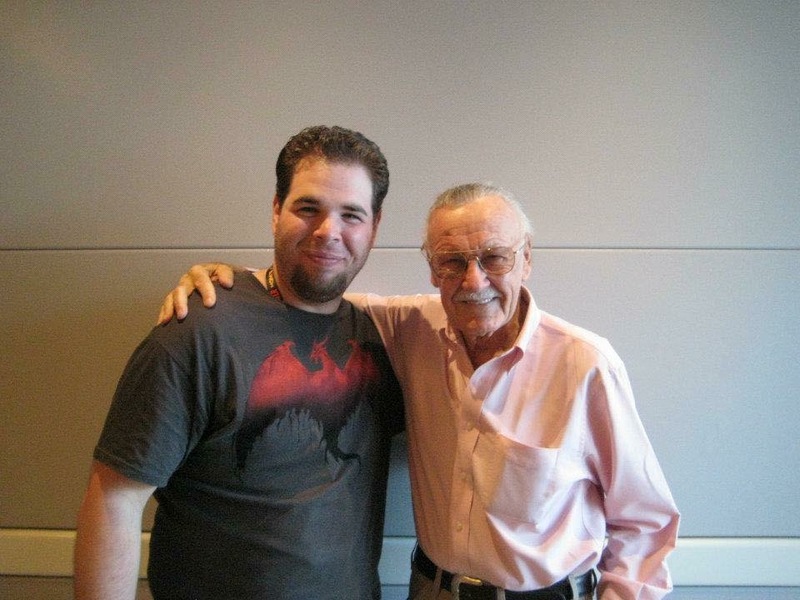 In 2011 while in NYC for the New York Comic Con, I was one of only 15 fans to sit down in a private room and have breakfast with Stan. For one hour, I sat there and listened to 50+ years of the most unbelievable stories. I couldn’t believe that my hero was sitting there in front of me. I didn’t ask a question that day – I couldn’t speak. I regret not being able to speak, but nevertheless, it was one of the most special days of my life. When we took a photo at the end of the breakfast, my eyes were full of tears. Stan pulled me in tight. He talked to me privately for a moment, thanking ME for everything – holding my hand the entire time. Listen, I’ve been crying daily since Monday. I’m crying right now while writing this. Stan was a superhero amongst men. He lived a hell of a life, though – a champion to millions around the globe – and that should be celebrated, not mourned. I’m sad that he’s gone, but I knew it was coming and I’m thankful for his assistance in helping me become the person that I grew up to be. He’s back with his beloved Joan now… and who knows? Maybe he’s even made up with The King and they’re creating some new characters. Celebrity deaths don’t usually rock me, but I knew this one would when the day came because Stan was so much more than a celebrity to me. He was my hero. His overall love for his fans – the marvelous tales that he told with that distinguishable voice – will forever be with me. I love that man – THE man – and I’ll miss him… but I know he’s in a better place and I will always remember him and what he meant to me. Before I go, a few more things. First, I want to tell everyone to go to the HDN forum right now to check out the incredible Stan Lee tribute banner that Jake ‘Snollygoster’ Doyle put together. 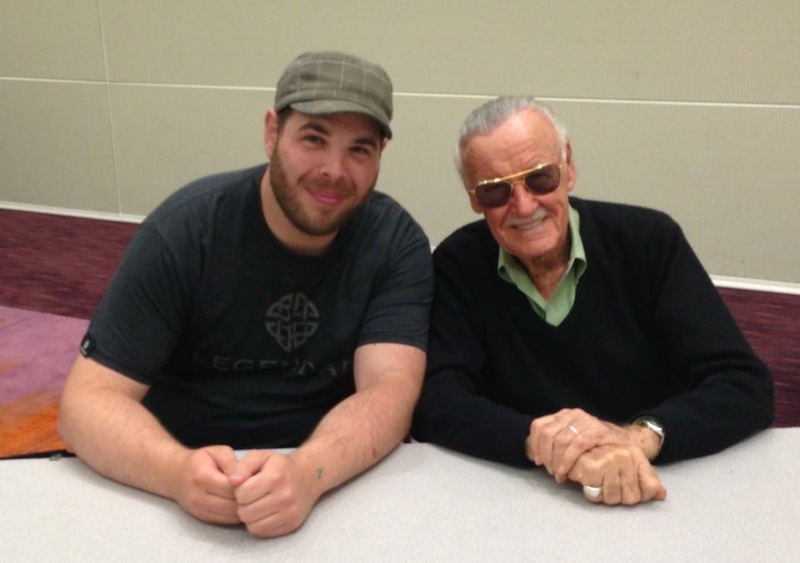 Secondly, thank you to Michael Madison for posting about Stan’s passing on Monday because I was a broken mess – I wanted to pop by to mention, but I just couldn’t do it. Lastly, I run a YouTube channel with Chris Mercier called Geek Pants and we’ll have a Stan Lee tribute video coming very soon (likely this weekend), so if you want to hear me dive more into what Stan has meant to me over my lifetime, please stop by. NINJA | Ken loves comics, video games, and film -- especially creature features and giant monster flicks. When he's not stalking the shadows as part of the Ninja Clan, he spends his time obsessively collecting ThunderCats, King Kong, and Pacific Rim memorabilia. Today, Superhero Stan Lee passes on at 95 years young. Take a look at the brand-new Spider-Man Legacy Blu-ray box set!